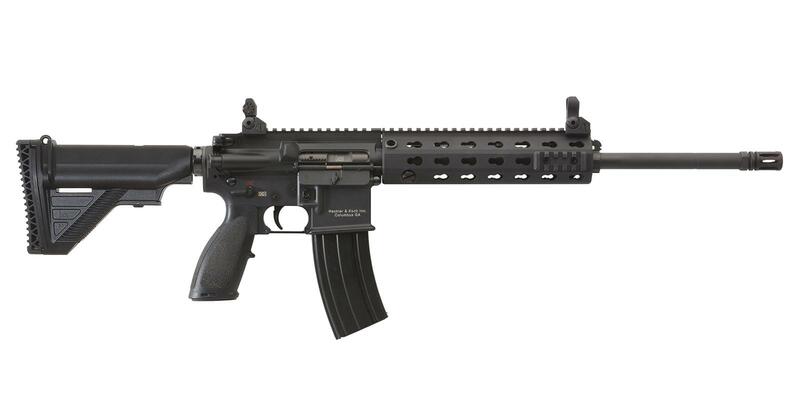 NEW IN BOX, HK-MR556A1 Gas Piston Operated Semi-Auto A/R Style Rifle. 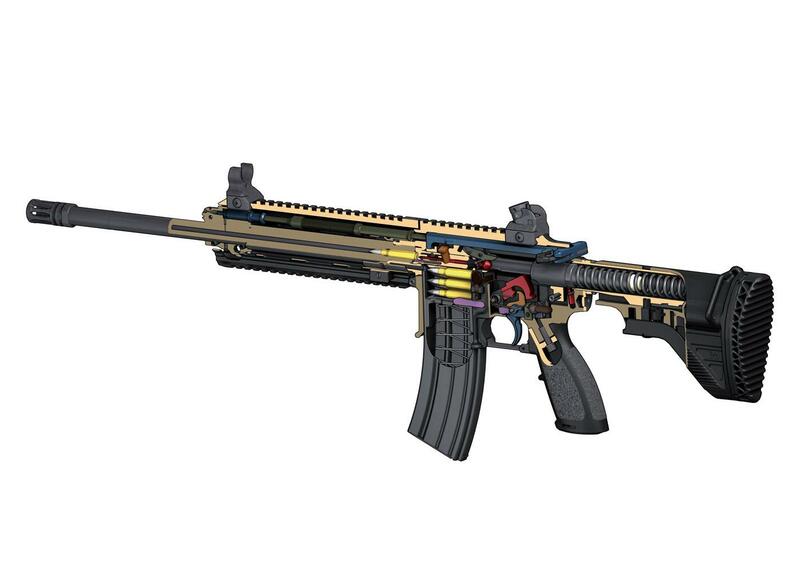 5.56mm, 9" FF Hand Guard, 16.5" 1/7 Heavy Barrel, A2 Flash Hider, E1 Collapsible CAR Stock, Front/Rear Troy Sights, 7.6# Trigger. Includes (1)30rd HK Metal Magazine, Cable Lock, HK Patch, HK Tool, Manual and Black Assault Rifle Case. NEW IN BOX & UNMOLESTED.